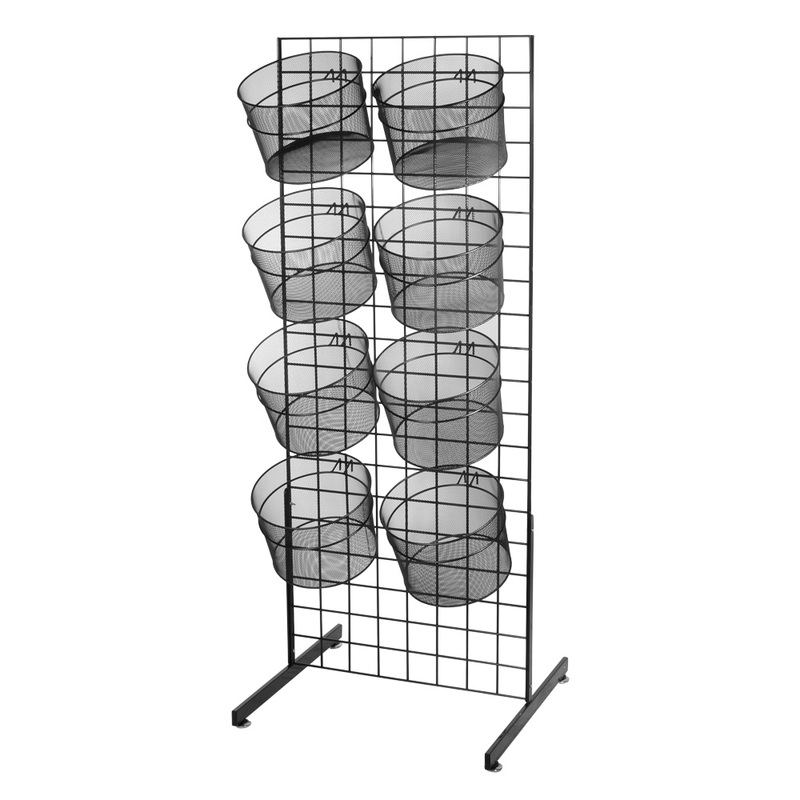 The Mobile Wire Mesh Basket Display is double sided. The Display includes 16 -11 in. wire baskets with grid hoops. The Frame is a rectangular black tube frame with retractable telescoping legs that can be put against a wall or in the middle of a room and locking casters.